Kevin . . . your post reminded me of something very upsetting - that happened a couple of years ago. Only about 3 miles from my house - there is an old farm. A couple bought the farm and put in a huge vineyard, about 25 years ago. Mostly scuppernongs, but also some concords and other wine grapes. Folks came from miles around to pick grapes! I always took my kids - and we looked forward each and every year - to going to get grapes. My kids would eat so many grapes - that they’d always regret it the next day. (From the bathroom!) But . . . It Was Worth IT! They loved them! The kids grew up - families of their own. One fall my son returned - and we planned to ‘grape pick’ together . . . with his little boy. It had only been 3-4 years, tops, since we were there, last. We drove over, expectantly, with our buckets and bug spray. No notice. No offer to sell vines. No Nothin’. I don’t know what their circumstances were . . . but it would have been ‘nice’ if they had let their loyal customers know that they were terminating the business - and the vines. We were so disappointed. And it seemed such a waste to just destroy all of those beautiful vines! So . . . your story was a pleasant alternative to ‘mine’. I would have liked to have had a ‘head start’ - with an established vine or two - vines with so many lovely memories ‘entwined’ in them. Man O’ Man! Those are sweet little fruit trees! Love your ‘mowless’ yard, too. That is a really sad story, Karen! 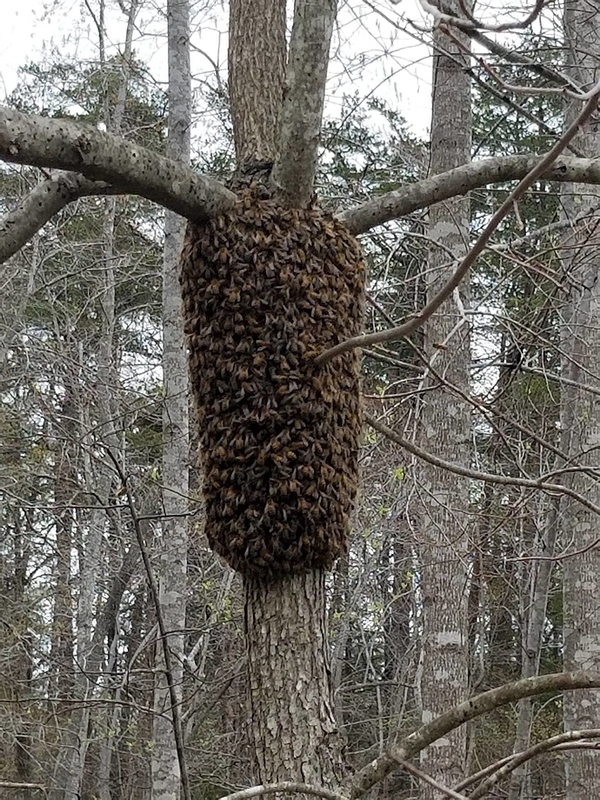 Pics of bees swarming along the edge of the woods at my house. 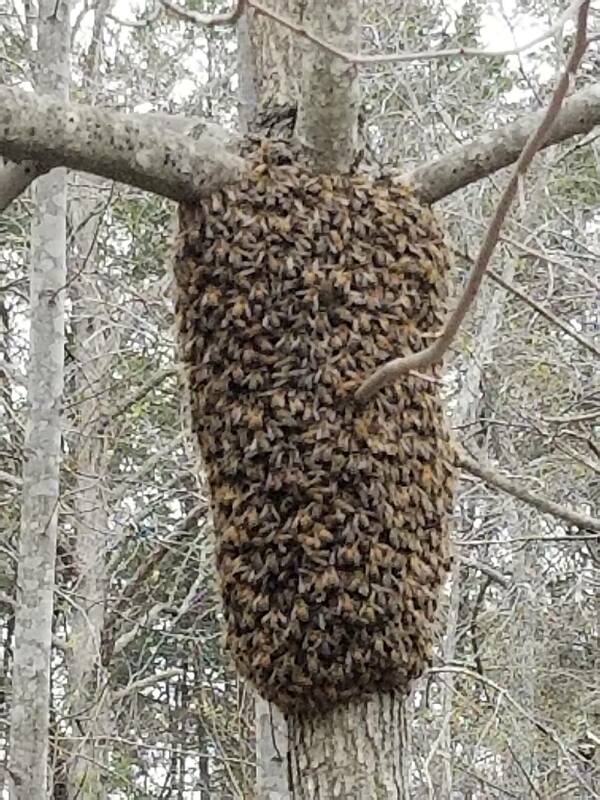 Unfortunately my neighbor who raises bees was away this morning and the swarm had moved on by the time he could come and get the swarm. Phil those are beautiful. I wish my trees bloomed with that much density. My trees are going on 5th leaf and im lucky to get 1/3 the amount of blooms. Not sure what to attribute it to other than poor pruning. Or maybe they are not getting the nutrients they need. Oh so Beautiful @Phill_Boise_7a !!! Same here. Do tell when you find out. I wonder if all those wood chips have something to do with it. Not a bit of competition! 5th leaf on stone fruit, if some buds are not killed by frost/late freeze, my guess is a nutrient issue. In my limited experience, with plums and peaches, no matter how I prune them, the rest still flower well. Maybe, you unintentionally have given them too much nitrogen via mulch and lawn food? They don’t need be to be pushed for growth. They need to settle down and produce. I typically feed them once this time of year with 10-10-10 around the drip line of the tree. Then mulch with shredded pine bark mulch. Those are some seriously happy looking trees, Phillip! Thick blooms, well pruned, nice shapes, and beautiful landscaping. I’m jealous. I had no idea Red Baron blooms were red like that. Those are also very showy blooms-almost like my double jewel blooms. @speedster1 if it makes you feel better, Most of my trees don’t bloom as thick as his are either. Some do- maybe 1/4th of my stone fruit trees. But most of them have blooms that are thinner/more spread out and not as thick. I treat all my trees exactly the same and they all get full sun and mulch and same sprays, etc, so knowing that some of them bloom really thick like Phillips and some don’t, I wonder if it might just be that we have different varieties than he does, or maybe its just something about our climate? The ones I have that do bloom super thick like his require a LOT more thinning work, while the ones that blooms are spaced out still produce well with a lot less thinning work. So maybe it isn’t such a bad thing that me and you dont have those super-thick bloomers Phillip has. Or maybe I’m just jealous and trying to make myself feel better because his sure are beautiful! Kevin, good point about thinning. If there is a brightside, thats probably it! I’m wondering about my four peaches, they had a handful of blooms on them, which have shriveled up, and now the leaves are starting to grow out. I’m wondering if they’re going to really bloom, or has that time passed? I’m not aware of peaches being biennial like apples, but these peaches are acting like it. I haven’t put any fertilizer on them yet. 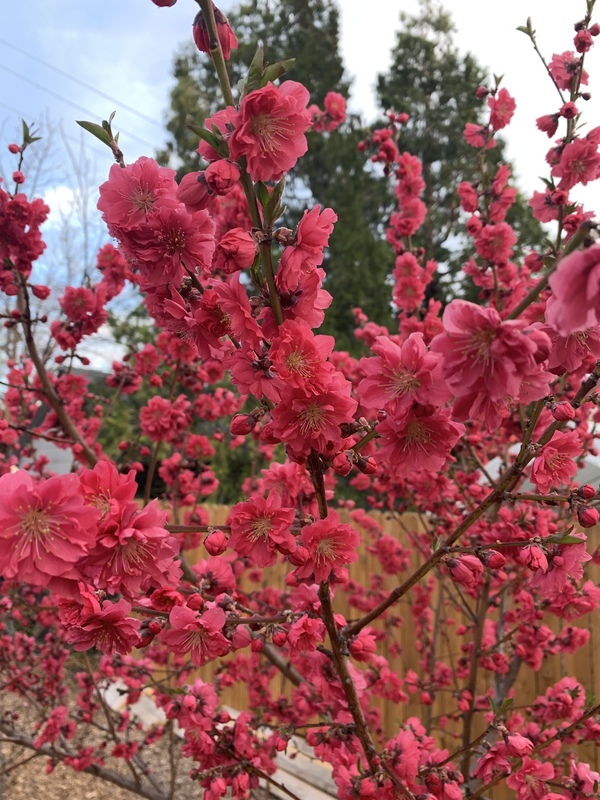 For what its worth, each of my peach trees put out all their blooms at one time and then not any after that. 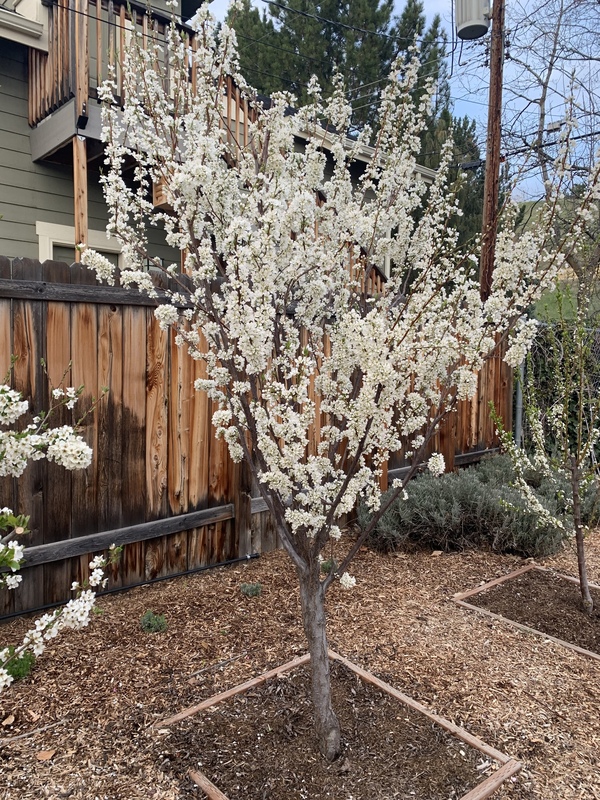 Many of my other types of trees may put out a few early blooms or a few really late blooms before and after the bulk of the blooms open, but I’ve never seen it with peaches. Once a few blooms come and go, no more come on my trees. 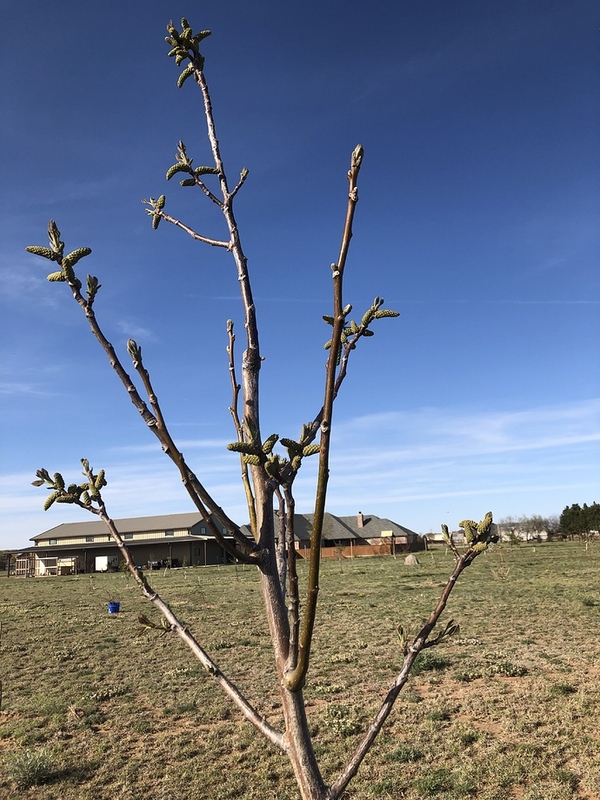 You may have seen me talking about it, but I have several peach trees that had buds killed while they were still quite tiny when we had two back to back 13 degree nights. Some of them still but out a handful of blooms like you are describing, so I wonder if that is what happened to you. Coincidently, I had a second, unrelated frost hit in March and it did something I’d read about but neer experienced, which was to kill the delicate inner parts (pistil) but not the bloom itself, and the result was the flowers on many of my trees that were not killed in the tight bud stage by the first frost event still bloomed and looked normal but then dried up and fell off without fruiting. I am telling you all this because I’m wondering if one of these 2 things is what happened to you. Either you had many of your buds killed long before they swelled and bloomed, and/or the ones you say dried up were killed before they bloomed but opened anyway. Either way, I fear you won’t get any more blooms this year if some blooms already opened on a tree. But I wish you the best, of course. Maybe the fruit buds got bit by a freeze, but I just don’t remember it getting that cold over the last month, at least not enough to kill the fruit buds. It would have to be like 15-20 degrees for that to happen. 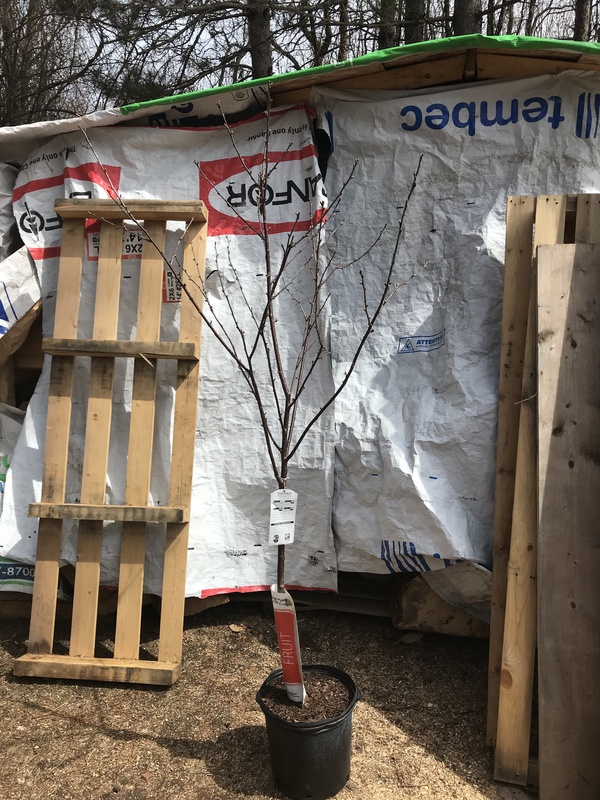 It was pretty cold in Feb, when it got down to single digits, but that shouldn’t hurt fruit buds while the trees are dormant. 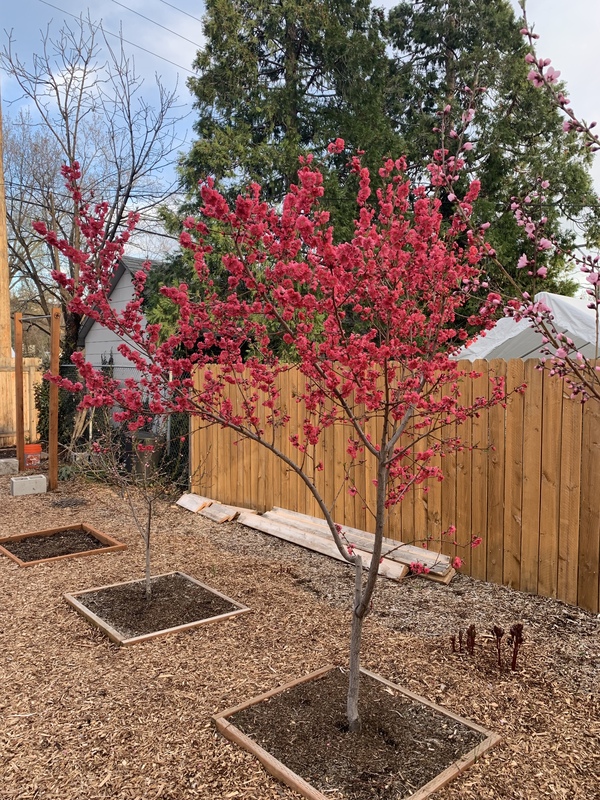 My trees aren’t exactly in an open vase style but would that have an effect on fruit buds on peaches? 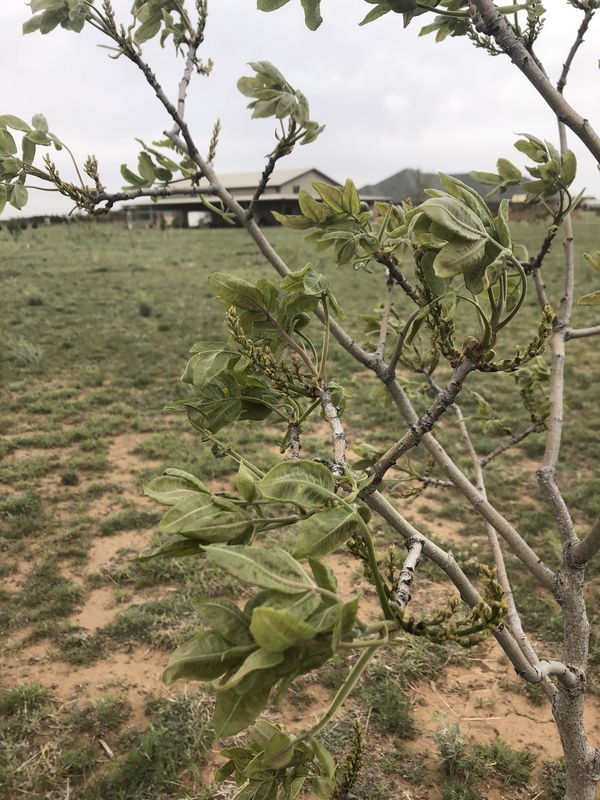 When I was inspecting the trees about a month ago, I thought there were plenty of fruit buds on them, maybe I was mistaken. A lot of my trees are acting opposite of what I’ve expected this year. 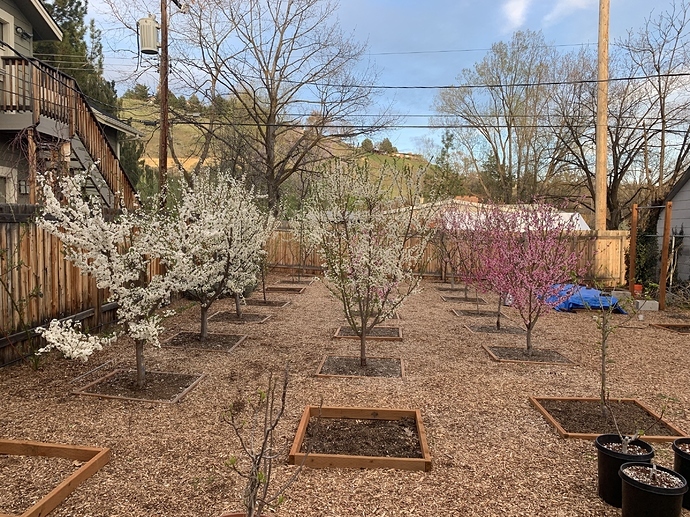 With my biggest apple and pear trees, last year I made a concerted effort to pull down branches to near horizontal, and it appears they aren’t showing any blooms, unlike some other of my apples and pears that have less than ideal branch angles. 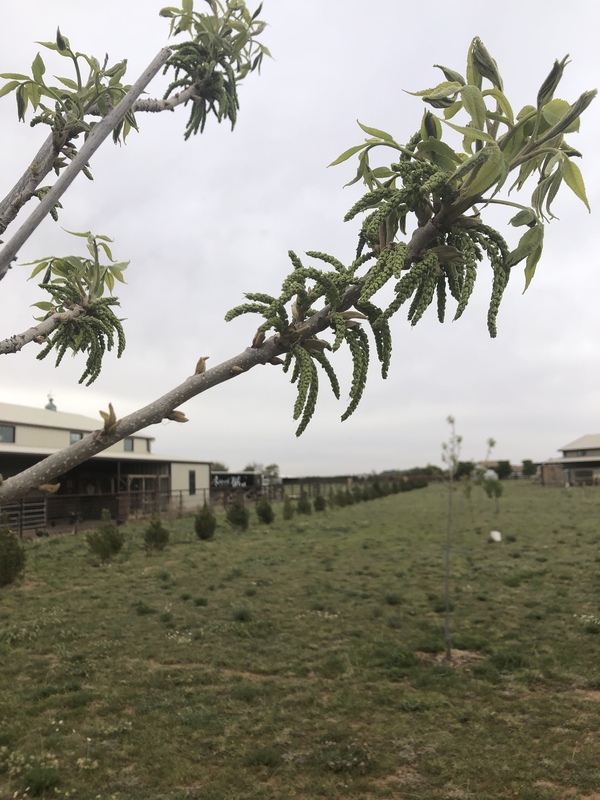 I know some trees will bloom if they’re in less than ideal conditions or aren’t doing well, so maybe that’s why that’s happening with a few of them. But, I have some somewhat “normal” trees that are blooming so it’s not all looney tunes. It would be just my luck that we might not have a killing frost this year and we end up with a bunch of trees that aren’t blooming. It looks like all three of our old Milam apples and an unknown variety are just starting to show some pink buds. A couple of them did nothing last year. 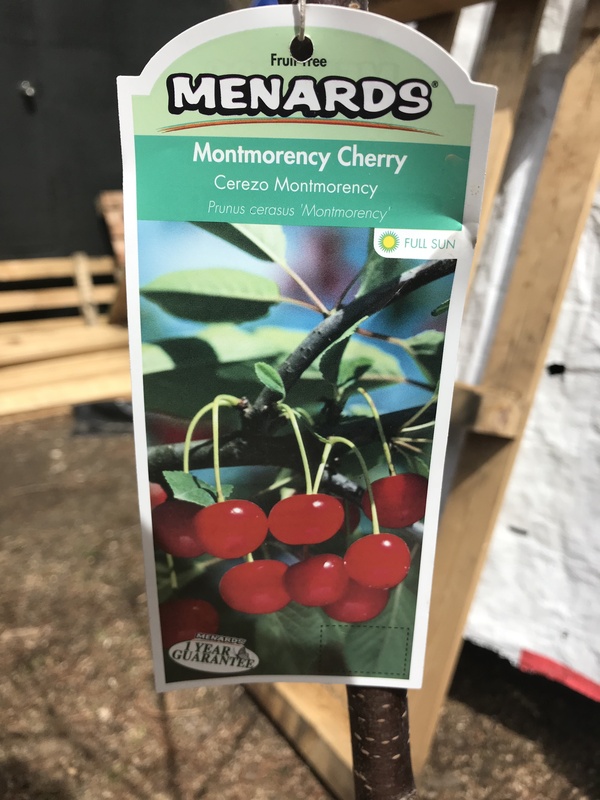 I couldn’t help but buy this Montmorency tree today from Menards. It’s 5’8" tall and was only $31 plus an 11% rebate.